We must have really good timing here at Jalopnik. 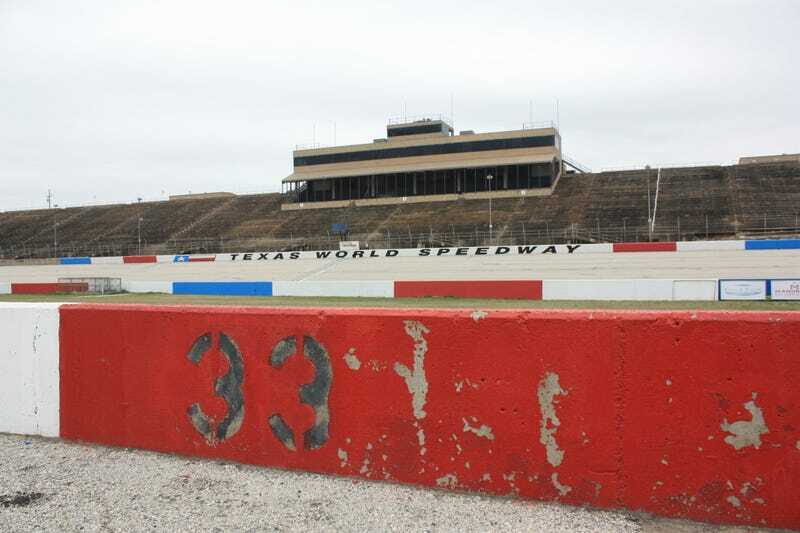 In the weeks after we held a large discussion with you all about America’s ghost tracks, it looks as if a group of investors wants to prevent Texas World Speedway from going that route—or eventually becoming a housing subdivision. But, the interested party said in a Facebook post that it may be midway through spring before we know too much else about the track’s future on the outskirts of a growing college town. In the original trajectory for the housing development at TWS, developers slated the track to close in June for teardown to begin soon after. Club Track Holdings, LLC planned to construct a new racetrack by the name of Bluebonnet Racing Circuit about an hour away, so that club racers and track visitors would have a new facility to attend once the development began on TWS. Company CEO Charles Von Schmidt and others interested in building the new track wanted to include features that mirror TWS’ layout and road course, as TWS manager Joey Todd said at an SCCA event earlier this year. But discussion of the new circuit is now on hold, as the investor group has big ideas for the old speedway in College Station, Texas. Details of the negotiations remain confidential. However, if successful, they will result in a complete rebuild of the famed road course, paddock, and additional support facilities. There would be multiple commercial opportunities for related industries, an on site hotel, kart track and numerous garage condos including the previously reserved Pit Row suites. Additionally we would be offering home and residential condo sites overlooking both the track and College Station. There would also be an offering of external commercial sites to interested companies. The track would need quite a lot of attention from a aesthetic standpoint in addition to the repave and new features eyed for the infield—the grandstands are weathered, the tunnels overgrown, the paint on checkered start-finish line and victory lane a faint shadow of what it once was. If oval racing is one day a goal (which is not stated in the Facebook post, but for the sake of reference), the 22-degree banking on the track is deteriorated and not safe to race on. While the post claims that negotiations remain confidential at the moment, estimates on the worth of the original development plans hovered just over $500 million over the summer, according to both Todd and local newspaper The Eagle. In March, estimates were at $55 million. Though property worth for the new development is high, it seems as if the new track goals may be just as ambitious. But, it looks like it’ll be a few months before we know whether the negotiators agree.